This Short Riddle in English is for middle school going Teen who has English as their subject. This Short Riddle will test your knowledge of English language. 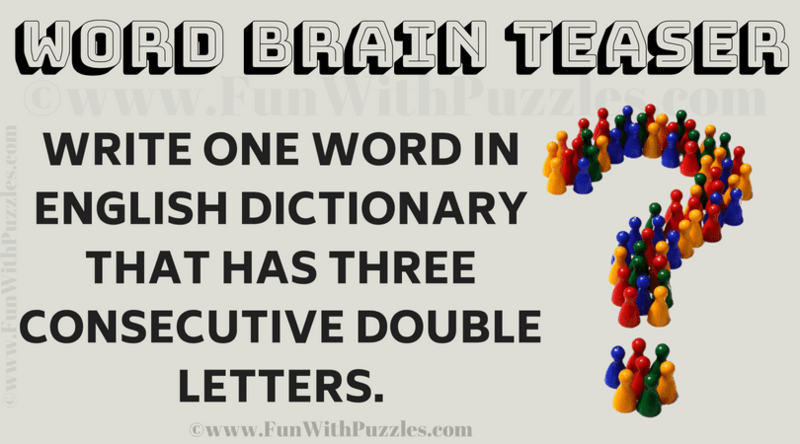 You don't have to language genius to solve this Short English riddle. Just presence of mind and basic knowledge of English is required. Let's see if you can solve this Short Riddle in English? Can you solve this Short Riddle in English? Answer of this "Short Riddle in English", can be viewed by clicking on answer button. Please do give your best try before looking at the answer.